Isn’t it true that “girls just wanna have fun?” It’s about time to reconnect with your girl squad and let loose! 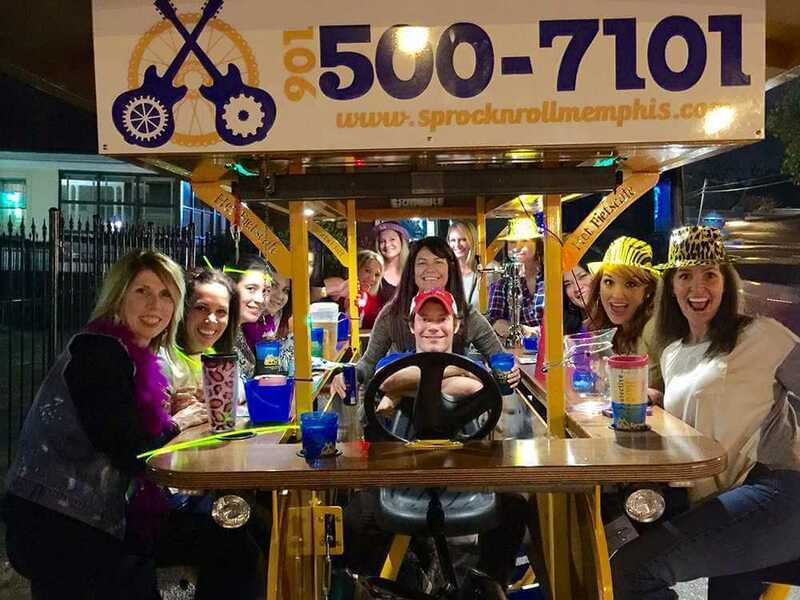 Sprock n’ Roll party bikes are a blast and there is no better girl’s night out ideas to get all your girls together in one place and celebrate. 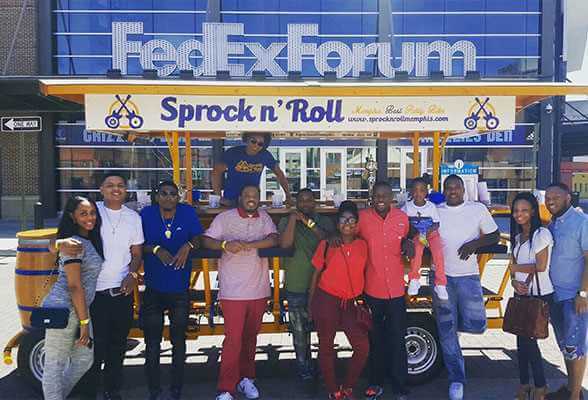 Whether it’s an engagement celebration, a new promotion party, or just a night perfect for celebrating friendship, Sprock will deliver the excitement and fun. 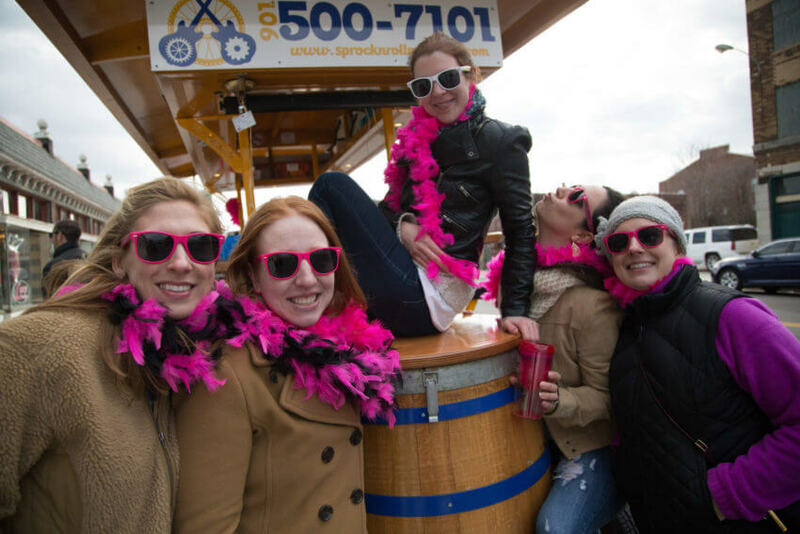 Grab your girls, some great jams, and your favorite drinks – this pedal party is one your girlfriends will be talking about for a long time! Pick one of your gal pals to control the radio with a playlist all can enjoy and sing along to. That way, your group’s favorite jams can be bumpin’ the whole tour! 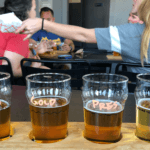 For a fun and creative Girl’s Night Out idea, try out our Artsy-Fartsy tour! Enjoy wine or cocktails while painting or creating pottery! Keep in mind with this Memphis activity you should leave the dress and stilettos at home! 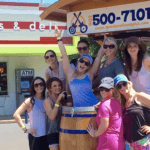 Comfort is the name of the game with a party bike tour. 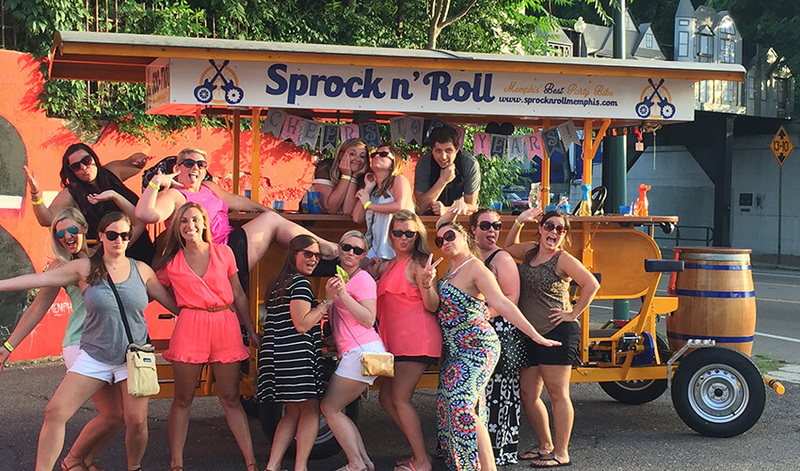 It isn’t Girl’s Night Out if it doesn’t include a great squad photo – our drivers double as photographers! Take advantage of them for the perfect insta!